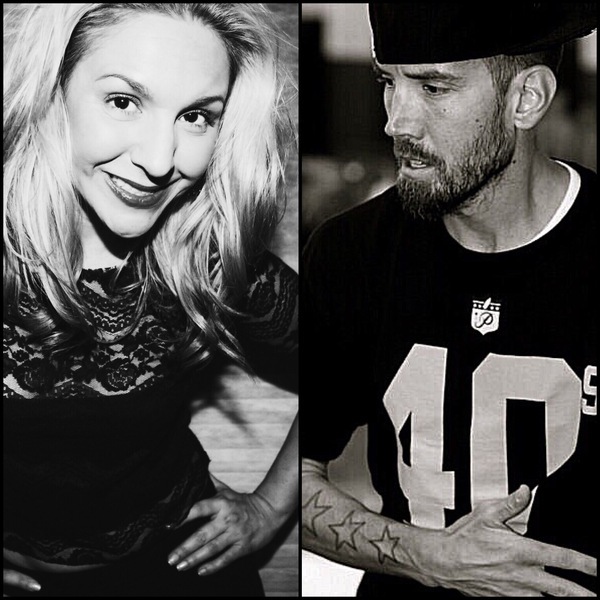 It's time to introduce the talented choreographers behind all those slick moves in The 20/20 Experience World Tour - the legendary Marty Kudelka and AJ Harpold! Motto: "There is no pressure, just don't mess up." 2nd motto: "When in doubt, ball change." Started dancing at the age of eight after seeing the movie Breakin'. What's been your favorite moment so far of #JT2020Tour? Getting to see all of the rookies take the stage for opening night. "Like I Love You" into "My Love"
Never stop learning / training while on the road. JT and the entire 20/20 camp…crew, dancers, band, singers, management, security, bus drivers, promoters, etc. All depends on who needs me. Rock in Rio in Brazil - beautiful beaches, beautiful people, great friends. Don’t compare yourself to others. Be inspired, but don’t stress. Your career shouldn’t turn out like everyone else’s… Who are these everyone else’s anyways? No one is you! No one has your talent or skill set. Be bold, be brave, be confident, be you! i love you so much justin i very want to go to your contracts and i go to you one of your contracts and i wish evrey day i go to another contract i love you so much and i sure All the people from all over the world who come to your contracts dont take another fun show thay take incredible experience and go home with amazing feeling. dont feel like i go to see justin biber or one direction i feel like room without a roof i I jump as high as possible beacuse i see justin timberlake you always make me happy when i dont feel good when i sad when its hard to me to things i cant make them you never faild one of these things thats one of the things i most like about you your amazing man you have amazing talent your the number 1 singer in galaxy!! you have amazing vocie your good in everything beacuse your JUSTIN RANDALL TIMBERLAKE. i love you so much justin i very want to go to your contracts and i go to you one of your contracts and i wish evrey day i go to another contract i love you so much and i sure All the people from all over the world who come to your contracts dont take another fun show thay take incredible experience and go home with amazing feeling. dont feel like i go to see justin biber or one direction i feel like room without a roof i I jump as high as possible beacuse i see justin timberlake you make always happy when i dont feel good when i sad when its hard to me to things i cant make them you never faild one of these things thats one of the things i most like about you your amazing man you have amazing talent your the number 1 singer in galaxy!! you have amazing vocie your good in everything beacuse your JUSTIN RANDALL TIMBERLAKE. I love all the choreography and dancers on the tour!! Amazing!! I love that you said "Life! Get into it." This is especially meaningful to me as this tour has enabled me to engage with life again in an exuberant & happy way. I am so appreciative of your and the entire entourage's professionalism, talent, dedication and hard work. It's what has made every concert experience I've had fresh and unforgettable. You all have created and multiplied joy and happiness all over the world for all kinds of people who have forever been united , if only briefly, in this unique experience. I will always be grateful to you all. The 20/20Experience has opened up a new path: new thoughts, new visions and new dreams. It will be bittersweet to watch it end (I'll be in Vegas!) but I will always be very happy that I was able to be part of this audience multiple times. I wish you all success, good fortune and good will as you embark on new projects.